Delicate North African spices complement the flavour of this fish, which is cooked whole for ease and to maximise flavour. 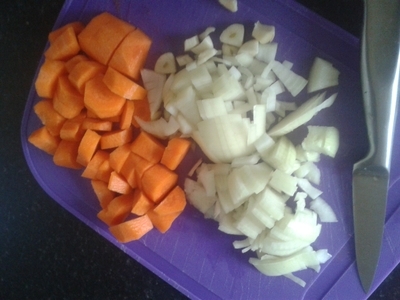 Slice the garlic, carrots and onions. 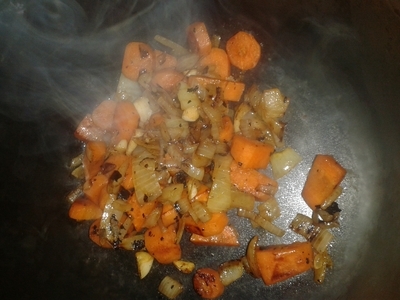 Add to a large saucepan and cook over a medium heat for 5 minutes. 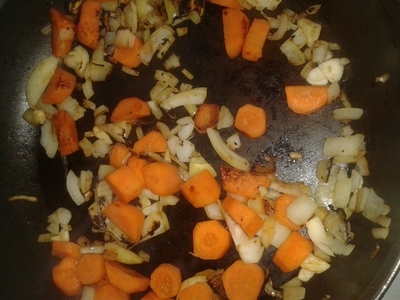 Add the vegetables to a large pyrex dish. 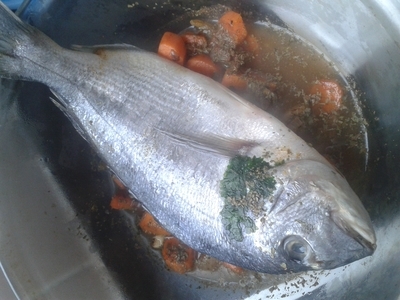 Place the fish on top, season and add the stock. Cook at 170 degrees/gas mark 5 for 1 hour. 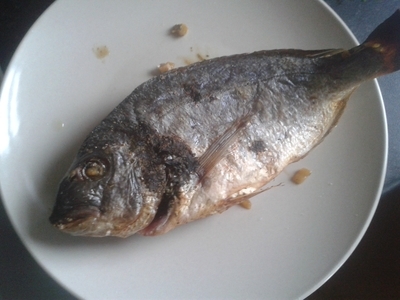 Remove from the oven and carefully transfer the fish to a large plate/platter. 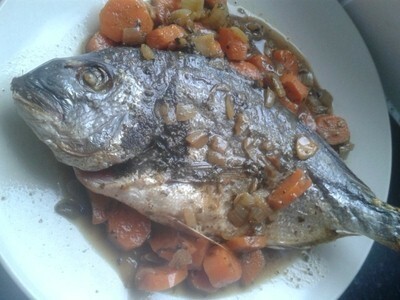 Spoon the vegetables around the fish and pour over the stock. Serving this way allows older kids to serve themselves, whereas you can serve your little ones. 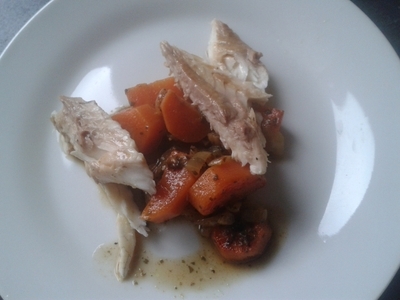 This is a rich in flavour fish dish, which everyone, from adults to toddlers, can enjoy.